Michelle Keller started as a real estate loan officer/processor having been recruited straight out of high school to work for Fidelity Mortgage in the Virgin islands where she lived for 2 years on the island of St. Croix. 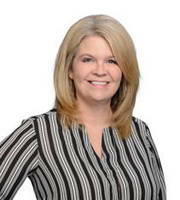 Michelle has bounced back and forth from the real estate industry to the auto industry working for companies such as The Money Store, Oakwood Homes, BB&T and TCF BANK for the last 25 years, however she always knew her heart was in real estate. Michelle and her husband Dan own Jag Techs, an auto service center and have most recently opened an auto dealership named Premier Motors. When Michelle is not working ( which is rare!) she is out supporting her girls - Payton, who is a local musician in Austin pursuing a career in Christian music and Haley, an amateur golfer, who is the Communications Director at the Twin Creek Country Club. Besides helping her real estate clients and hanging out with her family, Michelle enjoys spending time volunteering in the local community.